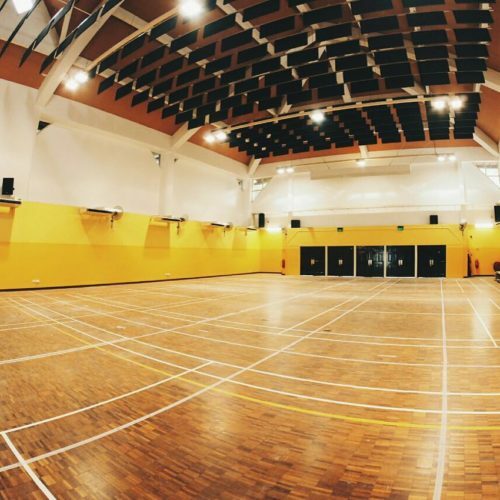 We worked to enhance the acoustics of the SMRT hall to solve speech intelligibility problems. 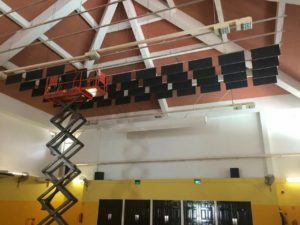 Although the hall was diffused, panels had to be installed unevenly due to site conditions. A reverberation time estimate was done using the findings of Neubauer and a Vicoustic acoustic baffle system was chosen as the solution. The installation was handled by Angleworx–a job they did outstandingly. The conducted post installation testing showed that the final measured reverberation time had tolerances within 0.05 seconds of the estimates. Subsequently, the enhancement resulted to significant improvement in speech intelligibility.